She is the granddam of multiple National Champions and foundation animals. 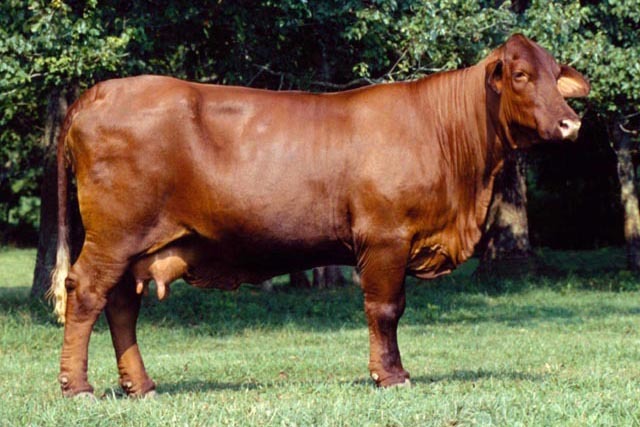 Very few females have had as much of a positive impact on the Santa Gertrudis breed. MC Scarlet was the 1992 National Champion Female and SGBI High Point Female. MC Scarlet was awarded the SGBI Dam of the Year, National Champion and High Point Produce of Dam for four years. She is the cornerstone of MC Ranch‘s successful breeding program.